Being a reliable firm, we offer Chamex Build Coat to our esteemed clients. This product is widely used for coating on steel and aluminum components, used for industrial purpose in many various industries. It offers them long lasting life with resistance from corrosion and other chemicals. Furthermore, it strengthens the components and provides them enhanced durability. High chemical resistance along with aesthetic appeal is assured by this product. Surface must be free from dirt, chalk, fungus, mildew, algae and loose old paint particles. If excessive fungus growth is covered and sintered on walls that must be removed with glossy antifungal solution before painting commences. The old surface must be free from loose particles, dust, grease, chalked and flaked one, fungus and algae or moss from previous paintings. Cleaning the surface after wire brush or sanding must follow proper water jetting and allow the same dry before the paintings commence. For filling and allow the same dry leveling use plaster of paris only but, not oil putty is recommended. Apply two coats of chamex build coat by thinning one part of paint to half part of water, giving time interval of 4 to 6 hours between coats. To ensure better results and sound protection for horizontal surfaces like window tops, sunshades, and ledges, three (3) finishing coats are recommended. For new plastered cemented surface, maturing and curing time will be minimum three months, before priming and finishing follows. Directions of Use Mix one litre of Chamex Ultimate to 400 ml of water approximately before application. 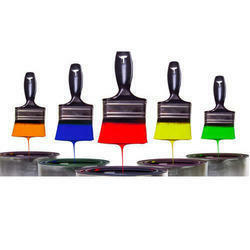 We offer a wide assortment of Ultimate Exterior Emulsion to our clients. It cleans the surface of loose paint, dust and grease and scrub vigorously with wire brush to remove algae, fungus and moss growth as well. Also, it is a water-based exterior wall finish suitable for dry to moderately humid climatic conditions. Also a quality test is processed on quality and performance of these emulsions so that we can satisfy the expectations of our clients. Normally no primer is required. On highly absorbent or chalky surface, apply a coat of Chamak Exterior primer Smooth thinned with water (1 : 1 by volume) as a self priming coat to reduce surface porosity. 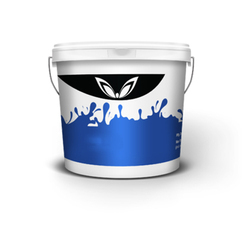 We are engaged in offering Ultra Exterior Emulsion Paint to our clients. These are widely applauded amongst our clients as that provides cover from pollution and rough weather conditions. It gives a nice finish and gives full protection from fungus, dust and algae. Proper testing is done of these products so that there are no glitches when it gets delivered to the client's door. Also the price range is pocket friendly. Colour: As per shade card. 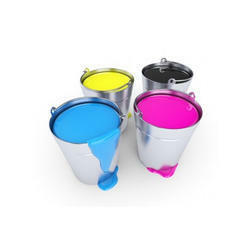 Looking for Exterior Emulsion Paint ?